I am so very excited to share the many ways to improve mitochondrial function with you. First, let’s make sure you are well versed in exactly what mitochondria are, and what causes their dysfunction. Loosely translated, what actually necessitates even bothering to know “this stuff?” As you’ll see in a moment, every single one of us will benefit from “better mitochondria.” So, let’s get started. Mitochondria produce energy as ATP (adenosine triphosphate) which your body then uses to fuel your daily activities. Some cells have more mitochondria than others. Your brain and heart cells are chock-full of mitochondria as are your muscles. You want your mitochondria working at full strength to keep your energy levels up, your brain sharp and your heart and muscles at peak performance. 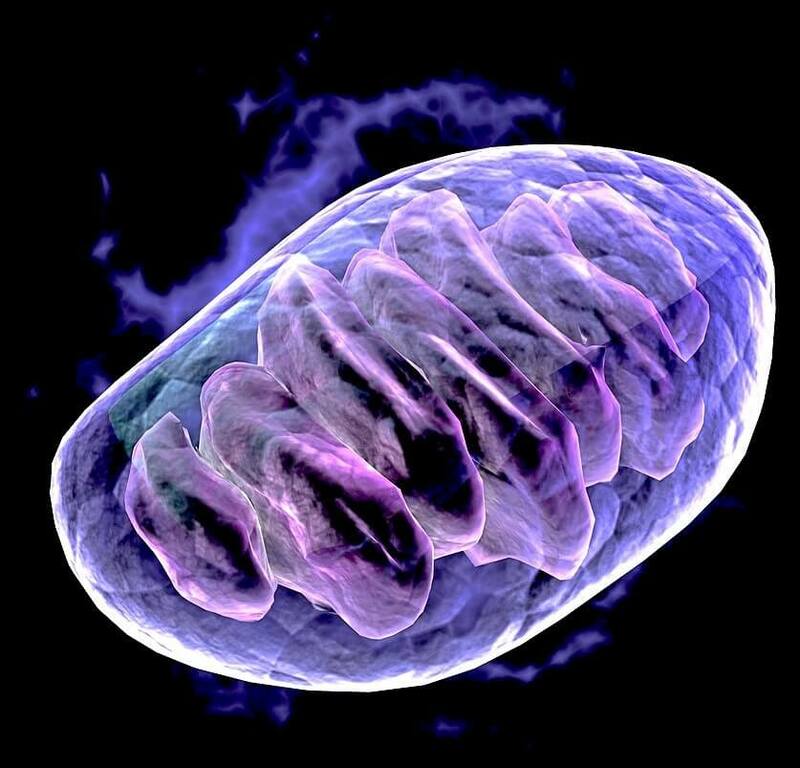 The creation of new mitochondria is crucial for optimal and vibrant aging. It’s needed to keep your energy levels at peak. It’s also needed to help protect you from oxidative stress. Conversely, mitochondrial dysfunction tanks your energy levels and contributes to numerous physical problems. Mitochondrial dysfunction, characterized by a loss of efficiency in the synthesis of ATP, is a characteristic of aging, and essentially, of all chronic diseases. Loss of function in mitochondria can result in the excess fatigue and even other symptoms in just about every chronic disease you can imagine. These conditions include neuro-degenerative diseases, such as Alzheimer’s disease and Parkinson’s disease and Amyotrophic Lateral Sclerosis. Metabolic syndrome, heart disease, and diabetes are all associated with mitochondrial dysfunction. Auto-immune diseases such as rheumatoid arthritis and systemic lupus erythematosus are part of this disease group as well. Even some psychiatric conditions, such as autism spectrum disorders, schizophrenia, and bipolar mood disorders are included. Of course, fatiguing illnesses, such as CIRS (mycotoxin-biotoxin immune disorders), Chronic fatigue syndrome, Fibromyalgia, and Gulf War Syndrome have mitochondrial near-failure as a prominent component. Lastly, as you might predict, cancer and chronic infections round out the list of disorders. If you have any one of these disorders, you will indeed improve if you improve your mitochondrial health and function. I’m sure after reading that list above, the majority of you thought whew, my mitochondria are fine. Actually, for most of us who are not conscious of what makes mitochondria “fine” versus damaged or “fine” versus zooming along to improve our day-to-day function, they’re not. As you have repeatedly read on this blog, oxidative stress and inflammation damage your health. One of the ways they do this is by damaging your mitochondria. So, already have two things you should know about and the many ways to evaluate and address these common issues right here on this website. Aging isn’t a disease, but as we age we make fewer hormones, fewer brain chemicals, and less mitochondrial ATP. Not only do our mitochondria produce less ATP, but the rate of their cellular death increases each decade. Similarly, inadequate exercise isn’t a disease but wow, does lack of it impact our mitochondria in a not-so-good way. Next, we can add inadequate and/or poor-quality sleep, insufficient nutrients, and stress to the list. Each of these things which impact mitochondria, also impact your total health and have been explained in detail in other articles. If you ever have trouble finding the information you need, just email me or catch me on chat. I’d like to save the biggest emerging threat to our mitochondria for last. We know how to recognize oxidative stress—almost everyone has it, and if you want to measure it, you can confirm that almost everyone has it. The vast majority of Americans are either overweight or eat an inflammatory diet. Both of these cause chronic internal inflammation. The majority of adults don’t exercise, have inadequate restorative sleep, and report feeling stressed. As a result, we’re a nation of people who are self-destructing our mitochondria and how many people even know what mitochondria are or why they are important? I’ll wager you, that you are in the minority. Back to the topic for this last “why” paragraph. Toxins are becoming more and more of a health issue since the introduction of pesticides, herbicides, decaying water pipes and other infrastructure problems. GMO foods have played a significant role lately too. Our homes and sadly, our world is full of toxins. We can do something about toxins, but it takes a little effort. Bookmarking and then reading that last link is a good first step. Eating organic, non-GMO foods and using filtered water is an easy second step. As a third step, make sure water intrusions are cleaned thoroughly within 48 hours so that indoor mycotoxin-producing mold doesn’t grow. Few people realize that mold toxins cause lots more than allergies. 24% of the population is genetically susceptible to innate immune system dysfunction causing everything from auto-immune disease to metabolic disease to Alzheimer’s. Yes, there is proof that in selected cases, mold causes Alzheimer’s disease! Indeed, there are numerous case reports in the medical literature linking the “toxic soup” caused by mold and mycotoxins with Rheumatoid arthritis symptoms, Crohn’s disease and more. Now let’s move from clearing up toxins to unusual but “cool” ways to improve mitochondrial function. Why am I calling this section the funky ways to improve mitochondrial function? You would expect that I would talk about your diet, sleep, stress, and exercise habits. To follow are the unexpected “little nuggets” of information, giving you what I call the funky ways to improve mitochondrial function. Ten minutes of direct sunlight is great for a burst of vitamin D. However, that burst isn’t enough to raise your vitamin D levels. Most, if not all, people need vitamin D (plus vitamin K for absorption) supplements. Ten minutes of direct and full sunlight is indeed enough to give your mitochondria a measurable boost. Avoidance of fluorescent lighting is a must when it comes to mitochondrial health, too. There are currently lots of ongoing studies about what might be the best light, EMF adjustment, and night glasses (perhaps orange, perhaps not). At this moment, I’ll just confirm it looks very clear that you should avoid fluorescent lighting if you can. Cold is another factor which gives your mitochondria a boost. Studies have observed benefits with facial submersion, “ice jackets” and more. You might have heard of Anthony Robbin’s cryotherapy tank—works but wow is it expensive! Based on what I find “tolerable” and affordable plus the research, of course, I would recommend at the end of your daily shower to turn the temperature to cold for 30 seconds. It is only slightly painful and mostly quite invigorating! Lastly, far-infrared saunas are the last of the non-traditional recommendations. A FIR is a great investment in your health. Be sure to get one without glues or resins. Lastly, let me mention that meditation is another method of boosting your mitochondrial output. Beverages such as real green tea (as opposed to teabag-tea) and even coffee are rich in polyphenols as well. To get the most out of your coffee, be sure to use a non-dairy creamer, as milk products will drastically reduce the coffee’s available polyphenols. I like the coconut cream-almond milk creamer you can get at natural food stores. Lastly, SIRT1 pathway containing foods are a great addition to any diet. Go ahead and bookmark the sirtfood diet plan if you’re interested in that particular list. You’ll be happy to know that many types of exercise are mitochondria-healthy. Walking is great. Weight training is great. Yet, the best type of exercise for your mitochondria is high-intensity interval training. Let me again make this as painless as possible. Think of a track—it’s 400 meters or 440 yards. If you have access to a track, great! If not, use a treadmill. Sprint one lap. Then, walk until you catch your breath and lie down on your back (not kidding—it’s for faster autonomic neurological adaptation) for 90 seconds. Do this again. If you can do it a third time, great! A fourth time—amazing! If not, just 2 times does the trick in my opinion. That is, as long as you are doing other things in this article. If you have a fatiguing illness, you can’t do this, and that is just fine. Because I have all the how-to’s in other articles on this website, let me just remind you to get your stress under control. Stress relief is found with behavioral practices, aromatherapy, supplements, and more. Search here and find what you need. Make sure that you have a good night’s sleep, every night. Again, search and find. These are health reminders, not just mitochondrial health reminders, as I’m sure you know. Yes, indeedy, I have some supplements for you which seriously do the trick. In fact, I have seen people “perk up” within 48 hours over and over again when they have a fatiguing illness or are just suffering from age-related mitochondrial failure. Here is the compilation of supplements in the literature which make all the difference in the world. Acetyl-l-carnitine: Also great for weight loss, muscle mass and is one of the overall best brain supplements you can take. Alpha-lipoic acid: This fat and water soluble vitamin is also great for your skin and assists with detoxification. Co-Q 10: This heart-healthy antioxidant is a must for aging mitochondria and indeed all mitochondrial failure. Add it to your routine if you’re on a statin drug if your doctor hasn’t informed you. PQQ and NAD: Probably the quickest picker-uppers which also are great for your ailing SIRT1 pathway. B12, Folate, and other B vitamins: Amazing brain vitamins, too. Additional Supplements: D-ribose, branched chain amino acids, magnesium threonate (always the best type of magnesium to take), Vitamin D, creatine (of all things! ), krill oil, ECGC extract from green tea (one of the great brain boosting supplements) and the fabulous and versatile brain and heart-healthy resveratrol. I know you’re not a Veterinarian but I read that you’re a dog lover and have a bunch of rescue collies. I’m wondering if you have any advice for my lab, just diagnosed with degenerative myelopathy which has been likened to ALS in humans> Thank you if you can help me and “Goober.” Mike. Oh wow, I’m sorry Goober has that diagnosis. You are quite correct that it has been compared to ALS in humans which is long known to be a SOD1 genetic mutation. I am amazed at the comments from above and just wanted to say I was feeling “older” and made sure I didn’t have adrenal fatigue by reading all of your articles. I went ahead and did just about everything, every supplement, did the cold water thing, and guess what? I feel 30 again. I’m not saying my age (LOL!). But this was an amazing amazing article. Everyone needs to read it. I shared it on my FB page. My mother was diagnosed with ALS in May 2016. Her doctor put her on riluzole, letting her know there was no cure but the medication might provide her a few more months of delayed symptoms. ALS progresses at different rates and affects different body parts first. My mother, being 73 at the time, fell into a category of what they call “fast progression” (older female). Her arms weakened first, then her hands, her mouth, and throat, and finally her lungs. Throughout her two-and-a-half-year ordeal, she was able to walk with assistance nothing was really working to help her condition.I took her off the riluzole (with the doctor’s approval) and started her on all of the mitochondrial support you recommend. Her symptoms totally declined starting within one week of her new regimen! Wow-a miracle. I was diagnosed with Parkinson’s disease a year ago at the age of 68. For several months I had noticed tremors in my right hand and the shaking of my right foot when I was sitting. My normally beautiful cursive writing was now small cramped printing. And I tended to lose my balance. Neurologist had me walk down the hall and said I didn’t swing my right arm. I had never noticed! I was in denial for a while as there is no history in my family of parents and five older siblings, but now accept I had classic symptoms. I was taking pramipexole (Sifrol), carbidopa/levodopa and Biperiden, 2 mg. and started physical therapy to strengthen muscles. nothing was really working to help my condition.I went off the Siferol (with the doctor’s knowledge) and started on CoQ10, PQQ and the other supplements you mentioned. I also did the dietary changes and a modified HIIT program. I am now almost 69 and doing very well, the disease is totally reversed!! I didn’t contact you, Dr.Kim because I have very smart doctors who agreed with what you wrote and they allowed me to follow that path. I have CFS and no one has mentioned mitochondria. What supplements should I start with Dr.Kim? And why has no one even mentioned mitochondria to me? Hi Ivan. Without knowing what is your “real” diagnosis, if you’ve been evaluated for biotoxin illness which is the root-cause of MOST cases of CFS and so on I will tell you for all cases of mitochondrial failure you want to have COQ10 (found in the product Mitochondrial factors) ,PQQ,Mitochondrial factors (which contains other good stuff like d-ribose and l-carnitine and ALAicd and so on) and also go on amazon and find Niagen’s nicotinamide riboside to amp up your NAD which is also low. Good luck. Consult me if needed. I’d love to hear how you do if you don’t mind. WHy you haven’t heard about mitochondria is well, I don’t know-it’s the hot topic in anti-aging circles so perhaps your doctors are just not up to speed?